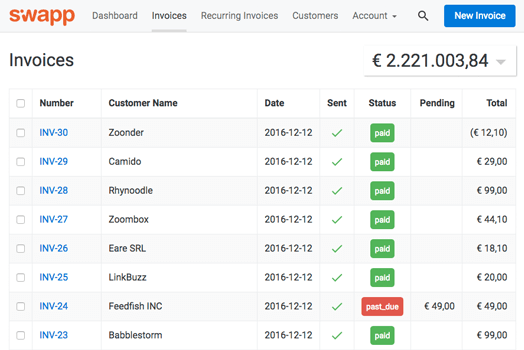 An open source web application meant to help manage and create invoices in a simple, straightforward way. It does only one thing, but does it very well. Everything is placed where you are expecting to find it. Manage invoices with different serial numbers. Save drafts of your invoices and continue editing them later. Obtain printable PDF versions of the invoices, with a professional look. Automatically generate invoices on a periodic basis. Bill from any internet connection enabled place. Manage customers and invoices programmatically directly from your application. It has a growing community of developers continuously working on new features.